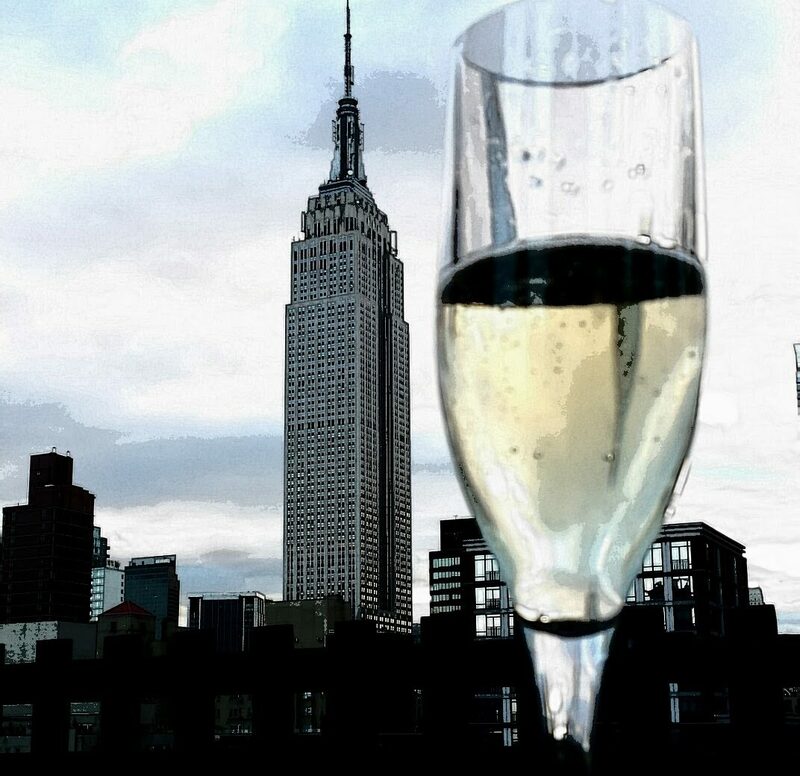 One thing lacking in the NYC wine bar scene is a good selection of French focused venues. While there are no shortage of spots offering a smattering of French wines there seem to be only a few brave enough to specialize in a French only wine list. Fond memories of the wine bars I had visited in Paris have made me wish for a spot with an old world feel. A simple, understated, elegant atmosphere to warm my inner Francophile. 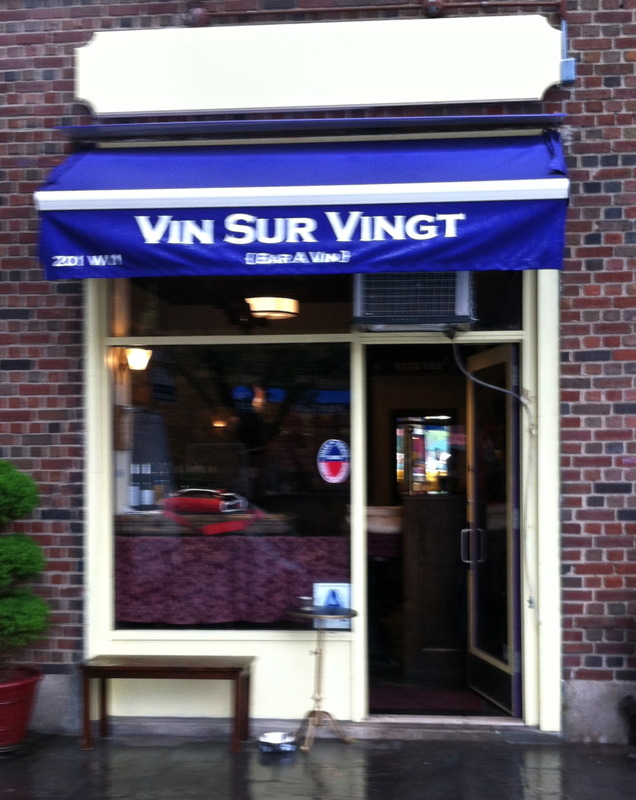 Recently, just looking for a spot to escape the afternoon drizzle I discovered Vin Sur Vingt, a French wine bar tucked away in a corner of the West Village. Peaking in I spied a long zinc top bar, large mirrors hung to reflect the copper ceiling and simple dark wood furnishings. The staff, busy preparing for the evening ahead welcomed me in a few minutes early to settle into a cozy table across from the bar. This tiny space packed with wine is a Parisian dream in NYC. Comfortable, unpretentious and staffed by a friendly group of knowledgeable yet non wine snob factor people, this place has a truly great vibe. Over 40 different choices of white and red are available from Burgundy, Bordeaux, The Loire Valley, The Rhone, Languedoc and the more obscure regions of Jura and Corsica. A special featured wine and a three wine flight (sommeliers choice) are also offered daily. Looking over the menu I selected a Corsican Vermentino from Domaine Vico watching as the small space slowly packed with people. The Vermentino was a fabulous find full of aromas of crushed stone, pineapple, thyme, rosemary and acacia honey, the finish was long and filled with lingering flavors of a fresh herb garden, raw almond and ripe tree fruit. I was tempted to have another glass but decided on the flight of the day, a selection of a white Burgundy, Loire Chenin Blanc and a fabulous Gamay. Reasonable prices, generous pours and an interesting selection kept me a bit longer than the quick stop I had planned on. A nice sampling of cheeses, cured meats and classic French dishes round out the menu. I tried the fromage special including Comte (an aged raw cows milk savory style), Mimolette (a cannonball shaped cheese colored with annatto) and a decadent triple creme with a pillowy rind. The cheese selection was wonderful but the aromas wafting over from a quiche served at a neighboring table were to die for. I found myself already planning another visit to sample some of the other regional specialties on the menu. Vin Sur Vingt is truly a find. Whether you’re a fan of French wine or just looking to relax with friends over an interesting glass it’s a stellar choice. I would suggest going early to grab a seat and settle in for a wonderful evening of food and wine. My name’s Mitchell. I love your blog and was wondering how I could get in contact with you. My email is msunderland@gm.slc.edu.